Today’s feature is PBFS Charlotte, which became a Pye-Barker branch when the company FirePro was acquired in August 2017. More can be read about FirePro, its impressive growth and wide customer base, created by owners Robert Johnson and Dale Fink, in our news piece announcing the acquisition here. Since joining the Pye-Barker family, the Charlotte office has continued to expand. In December 2017, the branch moved into a new building that gave the Charlotte team more space and a greater ability to serve customers with the prompt professionalism Pye-Barker strives to provide in all locations. The staff are proud to continue offering fire protection services under the Pye-Barker name, and have set record sales numbers with the help of Regional Manager Andy Holland and Pye-Barker’s Director of Operations Joseph Hightower. The branch has also expanded its capabilities since the acquisition, adding fire alarm and backflow services to its already long list of capabilities. The branch has maintained a great working relationship with Captive-Aire Industries, who they use for specific fire suppression system needs. PBFS Charlotte’s future goals are to put greater energies into deficiency work, and to increase backflow and fire alarm sales. 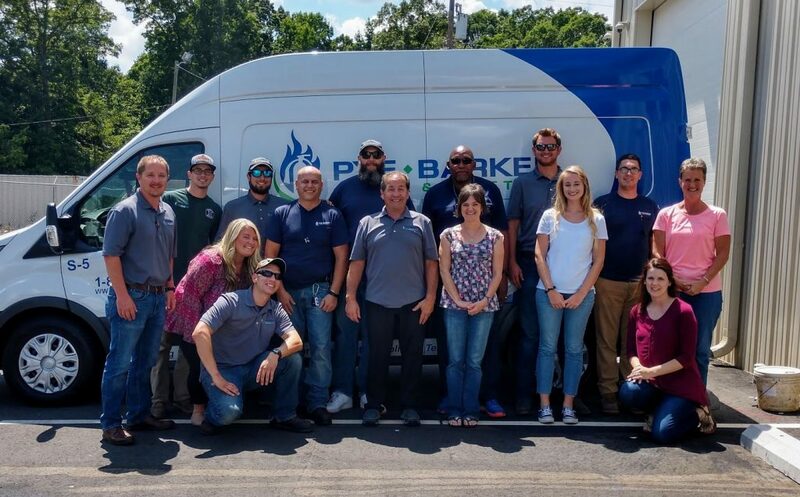 PBFS Charlotte continues to be grateful for the opportunity to become a part of the Pye-Barker family, and proves a worthy addition to the team as they continue to excel in one of North Carolina’s busiest metropolitan areas.